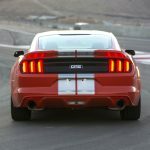 When we say that the new, 2017 Ford Shelby GTE Mustang has “little fury,” we of course mean “little fury over stock.” The new model is still based on a pony car which, in GT form, comes equipped with a beefy, all-American, 5.0-liter V8. 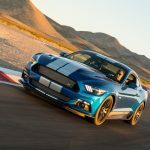 The 2017 Shelby GTE Mustang was unveiled earlier today, and comes in two forms, based on the Mustang’s GT and EcoBoost models, respectively: one with a 456-horsepower Coyote V8 (21 extra horsepower), and one with a 335-horsepower turbocharged four-cylinder (25 extra horsepower). The additional “oomph” in the GT-based car was extracted by way of a Level 2 Power Pack, featuring a cold-air intake, an 87mm throttle body, and a revised engine calibration. In the EcoBoost-based Shelby GTE, the extra power produced by the factory 2.3-liter turbo-four was apparently generated entirely by clever ECU mapping. 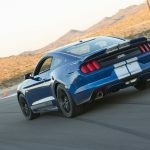 If 335 horsepower doesn’t sound mighty enough for you, note that torque has risen from its original 320 lb-ft peak to an impressive 390 lb-ft.
Other performance modifications common to both Shelby GTE variants include a Ford Performance cat-back exhaust upgrade, a handling pack, and 19-inch Ford Performance wheels wrapped with Shelby-spec performance tires. 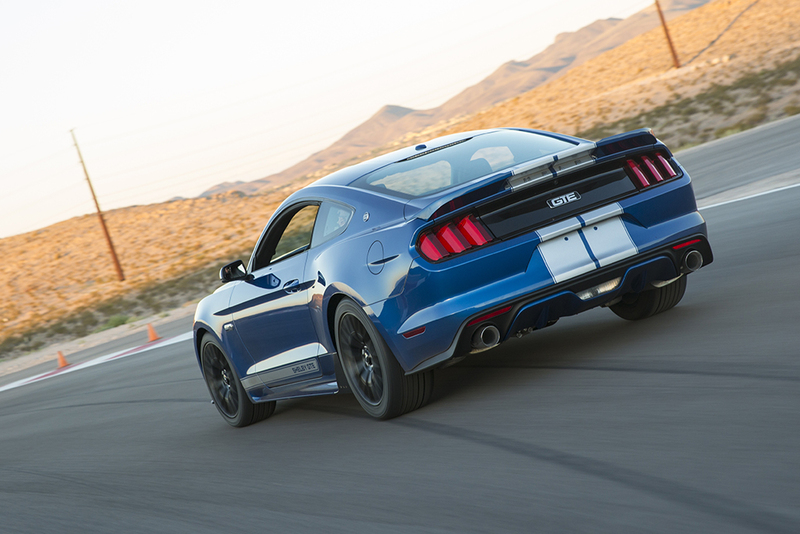 Optionally, customers can specify their cars with forged Shelby wheels, track-ready cooling kits for the engine, transmission, brakes, and differential, a short-throw shifter, Wavetrac differential, and much more. 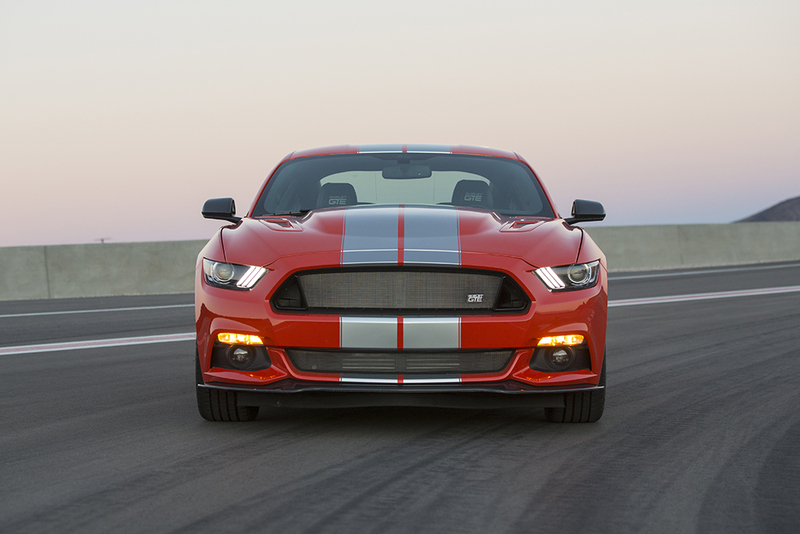 Stylistically is where we see the most change from the stock Mustang models, though. 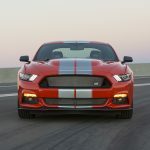 Both feature a Shelby-designed vented hood with a mammoth power bulge, a carbon chin splitter borrowed from the Shelby GT350, new rear spoiler and rocker panels, and model-specific front grilles. The Shelby GTE’s designers seem to have gone mental with the racing-stripe pen, as well, wrapping two thick, longitudinal stripes over the top from chin to boot, and narrower stripe graphics along the base of each door. 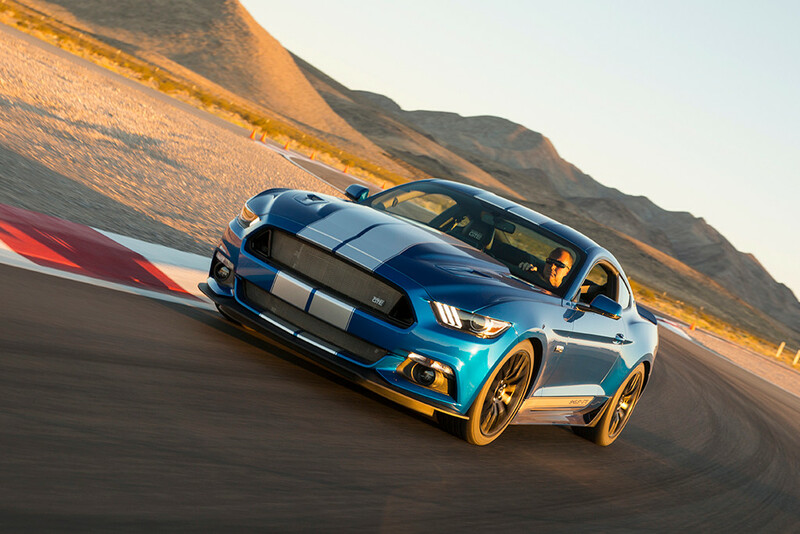 The new, 2017 Shelby GTE Mustang is perhaps more of a starting point than a finished product, then; the power gains offered are considerable, but pale in comparison to the monumental thrust offered by kits from the likes of Roush and Hennessey. However, supercharger kits capable of raising the GT version’s total output up to 670 to 750+ horsepower can be optioned, and most importantly, each GTE built gets its place in the official Shelby Registry. 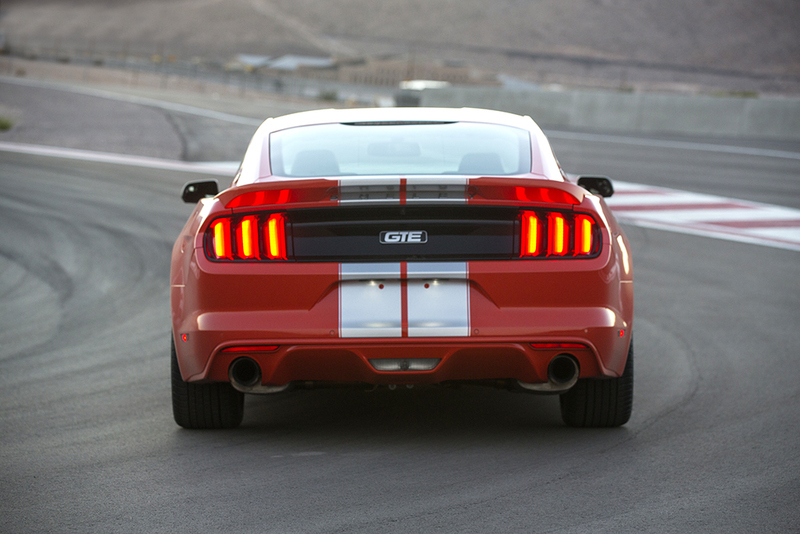 That fact alone ensures the 2017 Shelby GTE’s place in history.